Tea is one of the most consumed beverages in the world – second only to water. There are actually three types of tea: green, oolong and black. They are differentiated by the way they are processed and created. Of the three types, Green Tea goes through the least amount of processing making it the purest form of tea, and it has been attributed to helping our bodies because of its antioxidant, antimutagenic, anti-inflammatory, antimicrobial and anti-athersclerotic and anticarcinogenic effects. Some have also claimed that the consumption of green tea or its extract could help with the treatment of cardiovascular disease, diabetes, dermatological problems, and oral health issues. Dieters have, for years, known about and used green tea or green tea extract for its ability to aid in dieting and weight loss. So what is it that makes green tea so special? Let’s take a look at some of its chemical components. Catechin makes up approximately 30% of green tea’s dry weight and it belongs to the flavan-3-ol class of flavonoids (flavonoids have been said to help with everything from clearing arteries to suppressing appetites). All four forms of catechins are antioxidants. Green tea (made by adding hot water to green tea leaves) has been a popular drink in China and Japan for centuries where it is believed to have positive effects on health. With the recently renewed focus on dietary supplements, Americans are also beginning to understand the health effects of green tea and more and more are using it for that reason. The American dietary supplement industry understands that the incidence of cardiovascular disease in China is 80% less than the incidence in America and many in the industry attribute that to the high intake of green tea of the Chinese. Although catechin seems to dominate any green tea conversation, they are not the only component of green tea, and many feel they might not be as beneficial without other components such as Pheophytins, chlorophylls, and carotenoids. 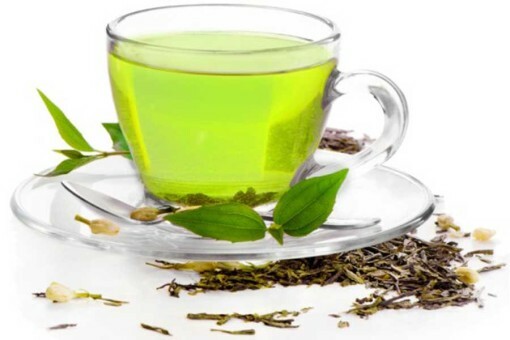 Theanine is another component of green tea, and it has proven to lower blood pressure and increase the efficacy of antitumor activities of cancer medication. Caffeine, the final component, has long been used for energy, performance enhancement, and weight loss. Use of caffeine, however, can increase blood pressure causing an increased risk to certain circulatory disorders. In an odd paradox, Theanine and its ability to decrease blood pressure helps mitigate the potentially dangerous side effects of caffeine. Green Tea has proven to be of great help in weight loss and is a very popular dietary nutritional supplement according to a couple of studies. One such study (Dulloo AG, Duret C, Rohrer D, Girardier L, Mensi N, Fathi M, Chantre P, Vandermander J. Efficacy of a green tea extract rich in catechin polyphenols and caffeine in increasing 24-h energy expenditure and fat oxidation in humans. Am J Clin Nutr. 1999 Dec;70(6):1040-5a) showed that using green tea or green tea extract increased energy expenditure by 3.5% while caffeine alone only increased energy expenditure by .6%. The study also showed that “while the oxidation of fat contributed to 31.6% of energy expenditure in the placebo group, in contributed 41.5% in the green tea extract group, indicating that the increase in energy expenditure was due to the breakdown of fat, not protein, meaning that green tea actually helps the body to burn fat cells, not just increases metabolism. No matter how many new drugs pharmaceutical companies come out with to help us with our daily lives, health, and weight loss, sometimes the most simple and most effective come straight from nature. By simply adding a little hot water to green tea leaves we can achieve almost anything from weight loss to increased efficacy of antitumor cancer medication.